The Fuller Center Bicycle Adventure wrapped up its record-setting 2016 Summer Ride in Washington, D.C., today, having raised more than $285,000 — and counting — for The Fuller Center’s work across the United States and around the world. 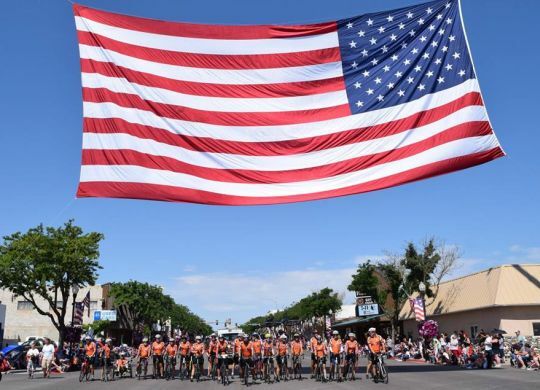 Funds are still being tallied, but the ride far exceeded its goal of $250,000 early in the 3,500-mile ride from Seattle to D.C. — an achievement accomplished the first few weeks of the ride. The ride also set new records for participation. In fact, the ride had to be divided into an Orange Ride that departed Seattle on June 11 and a Blue Ride that left a week later. The two rides merged on Friday and rode into D.C. together on Saturday. Fuller Center President David Snell congratulated the riders Saturday on their safe and successful journey. Stay tuned to FullerCenter.org next week for more details about the ride’s success and future plans. So amazing! Great news about the safe arrival of all the bicyclists, who deserve accolades for this incredible feat! God bless each of you!